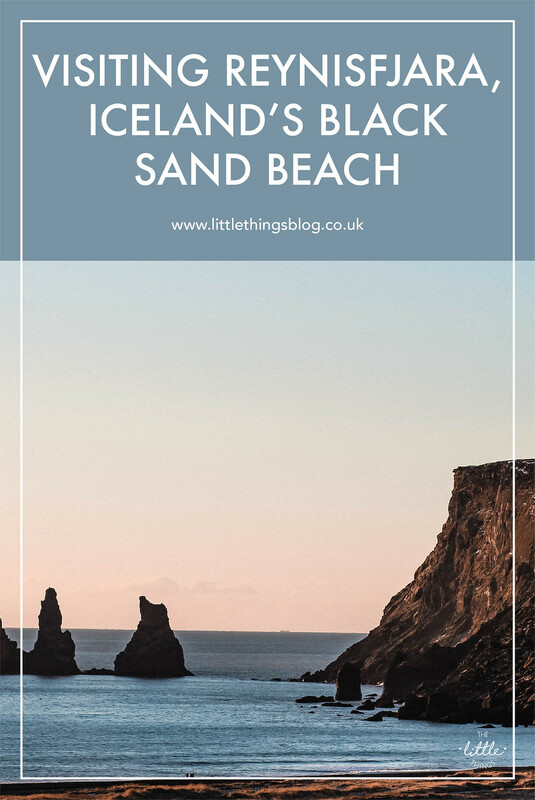 One of the many recommendations we had from people before visiting Iceland, was to go and explore Reynisfjara black sand beach in Vik. 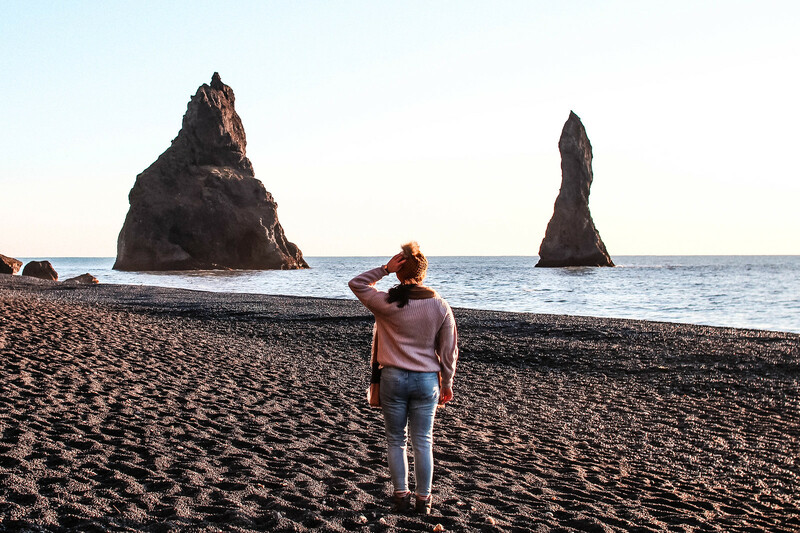 White sandy beaches are great and everything, but is there anything more dramatic than black sand formed from lava? I didn’t think so. 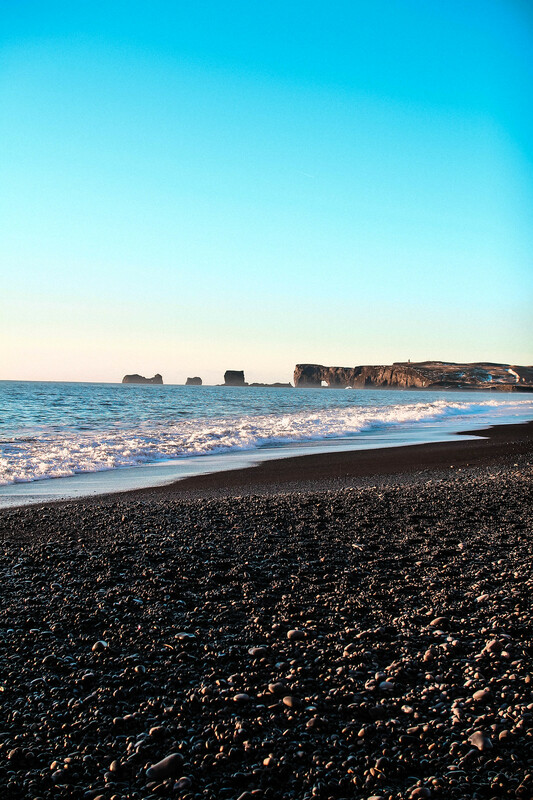 Created by lava flowing into the ocean, which cools almost immediately when touching the water, formed the black sand beach that’s there today. 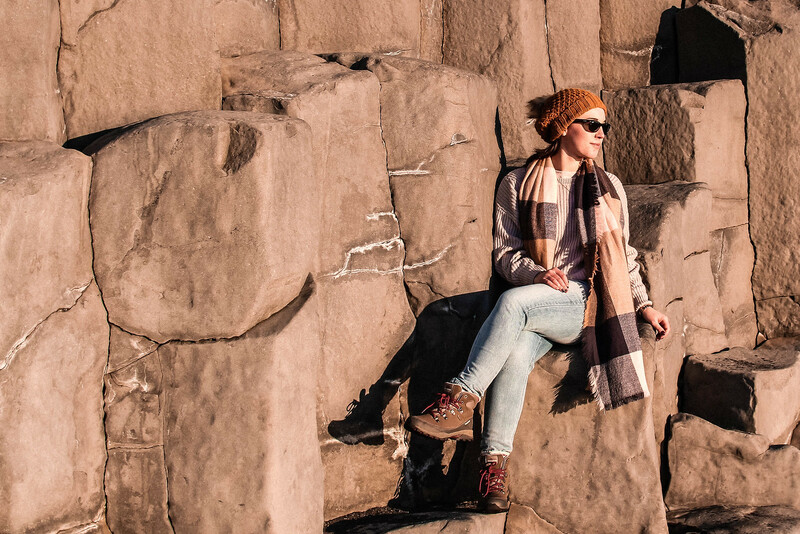 With it’s incredibly tall basalt columns, towering cliffs and caves, it makes for quite the spectacle. Though we were a little surprised to find the the black ‘sand’ was actually more of a mix of different rocks and pebbles, definitely not ideal for any kind of tanning! Standing looking up at the basalt columns like a staircase to the sky reminded me of our travels to Ireland’s Giant Causeway earlier in the year. The hexagonal shapes of the rock make for the perfect photo opportunity against a dramatic backdrop. 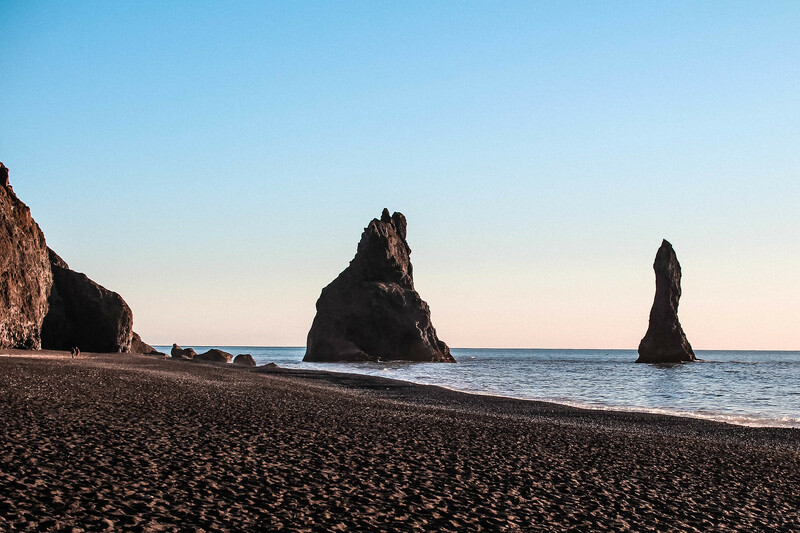 Back in 1991 National Geographic voted Reynisfjara one of the top 10 non-tropical beaches in the world and it’s easy to see why. You’ll see the sea stacks across the water sitting off the shoreline. 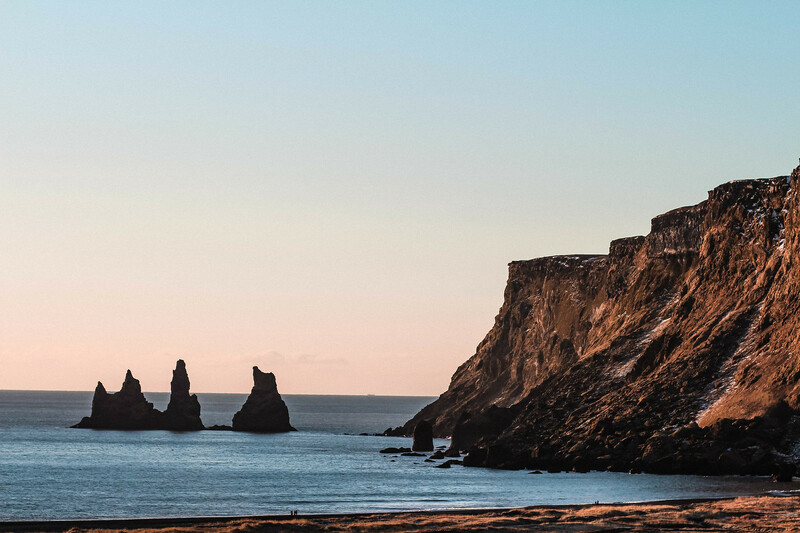 Known as Reynisdrangar, according to local Icelandic folklore these were once trolls in battle against pulling ships from the ocean. Unfortunately for the trolls, sunrise appeared before them and turned them into solid stone. 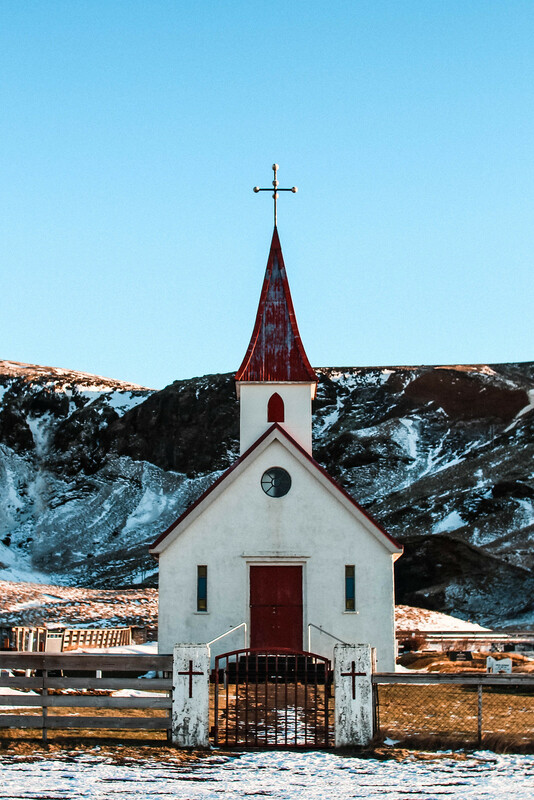 Whatever you choose to believe, there’s no denying their impact shadowing over the beach. 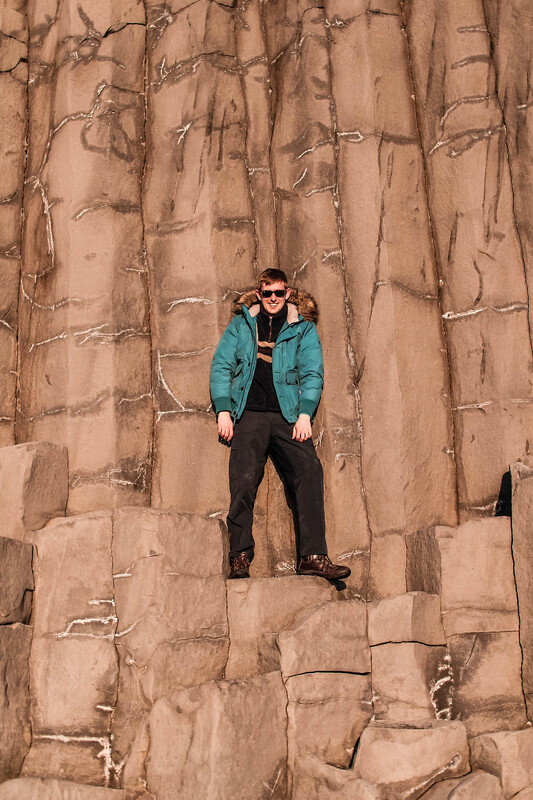 The whole experience of Reynisfjara felt like we could be on another planet. 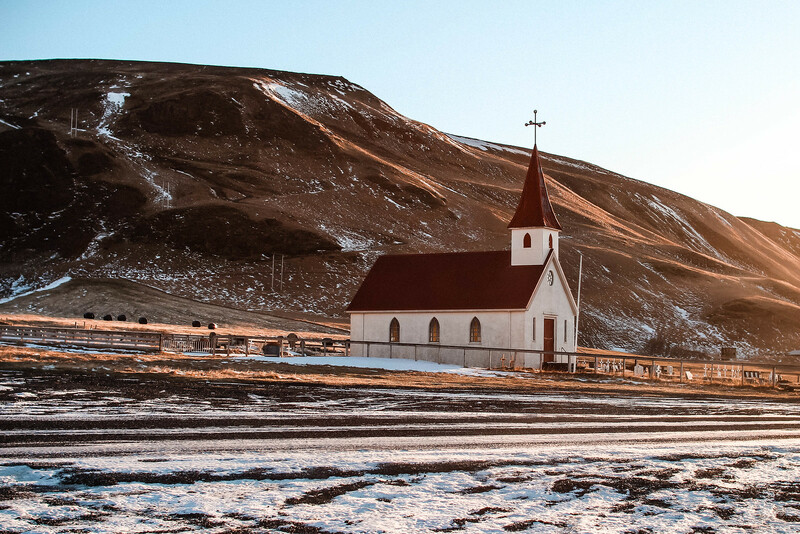 It’s an amazing place to visit, and just 2.5 hours drive from Reykjavik. Be sure to wrap up warm, the wind certainly picks up by the coast! Even if it was a steamy 4C when we visited and I ended up taking off my coat - maybe I’m cut out for Iceland after all! As a side note, if you have the time on your journey I’d wholeheartedly recommend driving a further 2.5 hours southeast to Jökulsárlón Glacier Lagoon for a completely different yet amazing experience.